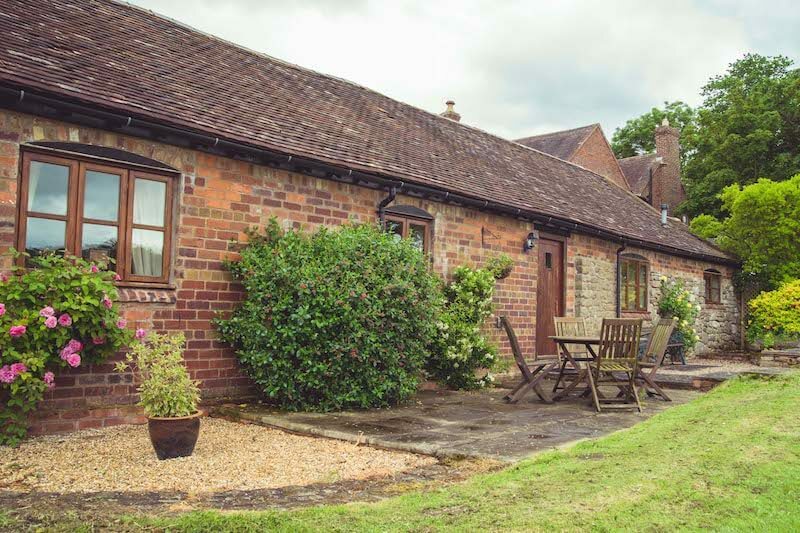 Walkers and cyclist paradise, The Long Barn is set in the heart of rural Shrophire and The Jack Mytton Way runs along the Wenlock Edge giving access to some of the most beautiful countryside in the UK. 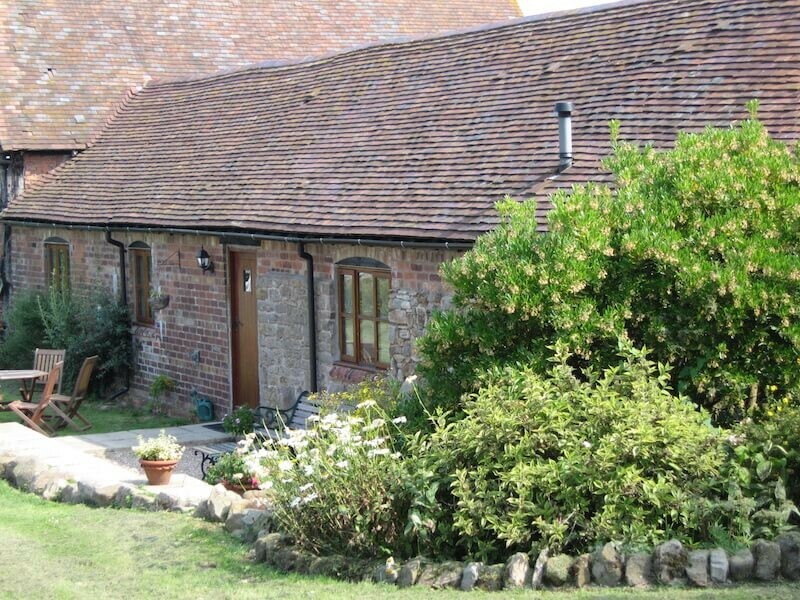 The accommodation is of 4 star standard and is the perfect base from which to explore Shropshire & Beyond. 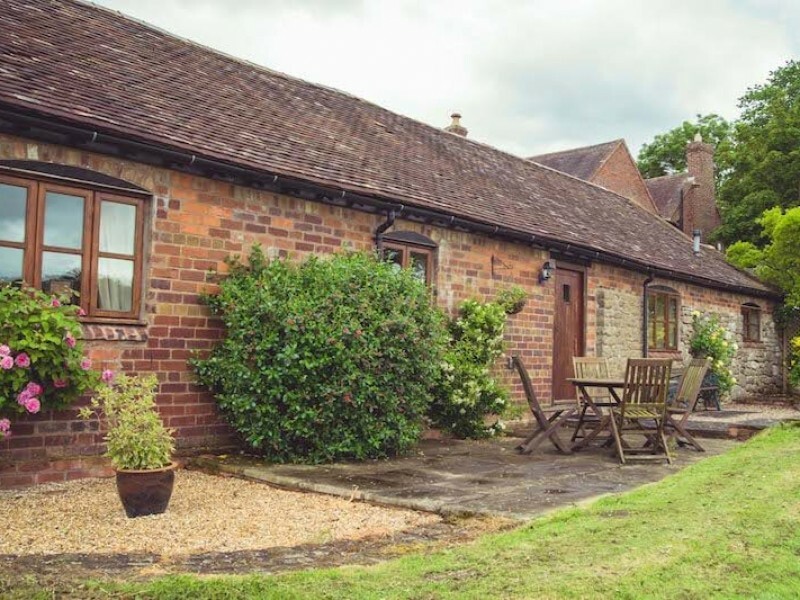 The cottages is also ideally located for guests who may like to visit the market towns of Shrewsbury, Bridgnorth, Ludlow and The Ironbridge Gorge Visitor Centre . 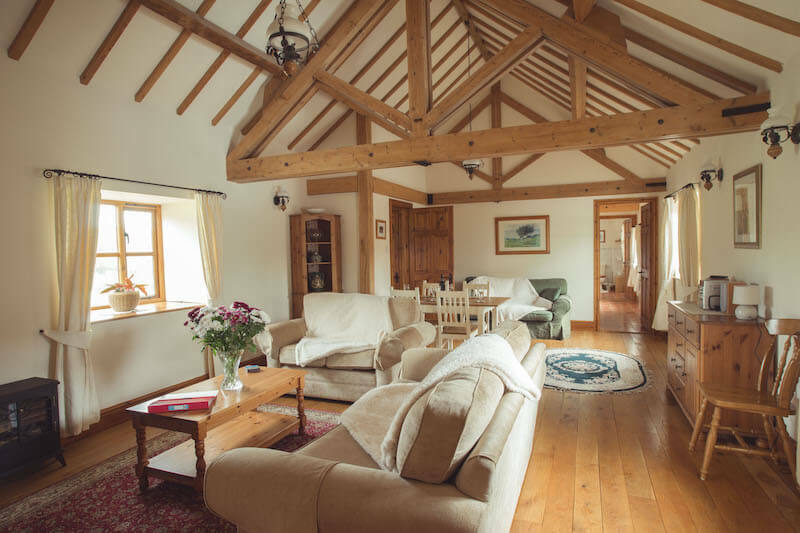 The Long Barn - refurbished to a high standard the barn is the perfect accommodation for a family of four or two couples. 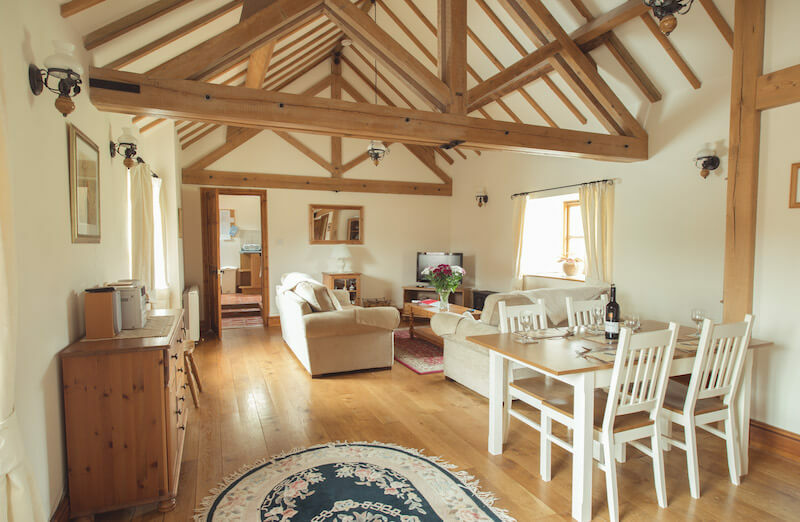 Whilst retaining all of the original features the cottages has all of the modern creature comforts you could wish for. 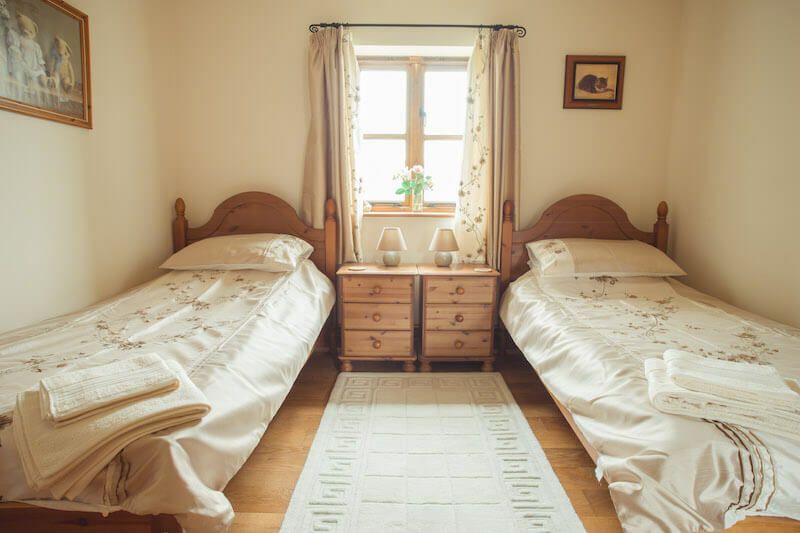 There is a master double bedroom and the second bedroom has two singles beds. 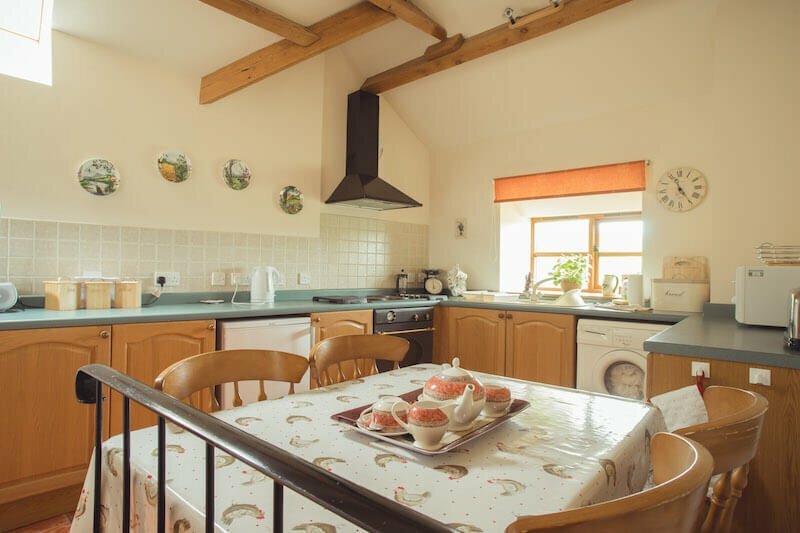 There is a modern, fully equipped kitchen with all that you could need to cook up a storm if you choose not to eat out in the nearby pubs and inns. 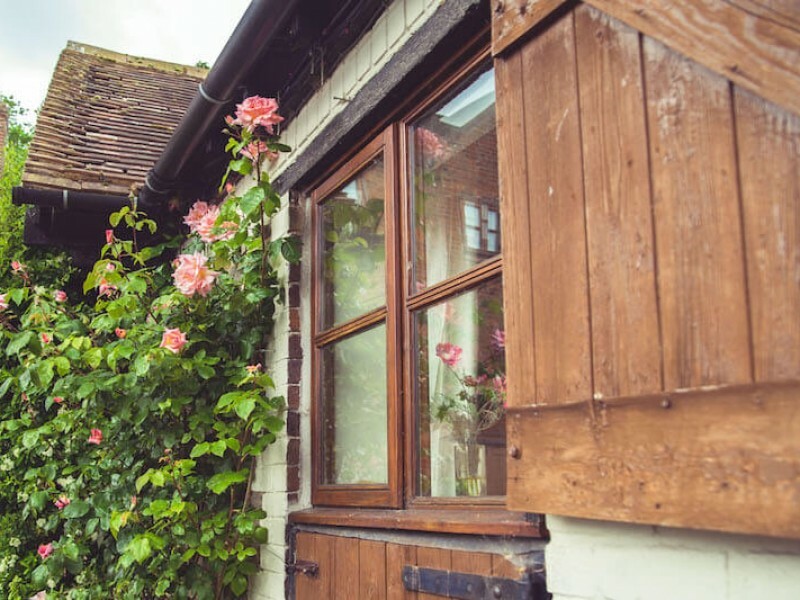 There is adequate space to park two cars directly outside the cottage. The surface is asphalt and concrete There is one step up to the door 13cm. The door is 78cm wide left hand hinged and opens 90 deg. 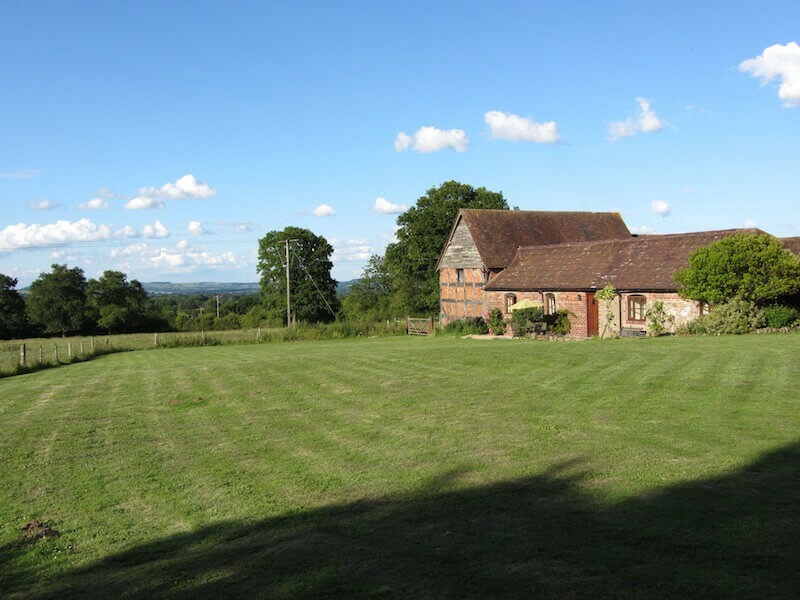 The garden at the rear of the cottage is for Long Barn guest use only The area is all lawn covered there are two 10cm steps up to this area. There is a gravel surfaced patio area to the right of the rear entrance 3.0M by 6.0M with extensive views, which is provided with an octagonal garden table 100cm by 100cm with four chairs, a large sun umbrella and a separate bench seat with table. There is a 10cm step down to this area. There are extensive views. The rotary clothes line is on a grassed area 5 metres from the rear door, there is a 10cm step down. Guests should note that the lawn may not be accessible during winter months. There is a recycling area located in the first stable adjacent to the cottage which guests are encouraged to use. A tumble dryer and chest freezer are also available in the stable for communal guest use. The kitchen is 3.30M wide by 4.20M deep, access through the entrance door is restricted to 78cm. The floor is ceramic tiled. 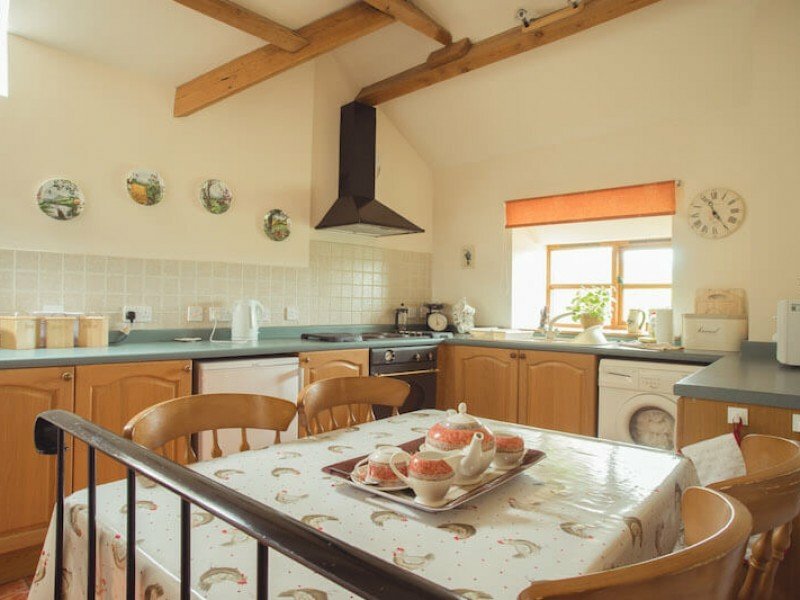 To the left there is a 90cm high, full length worktop with a selection of cupboards and drawers, a four star fridge 60cm wide and a built in oven with electric hob over and an extractor fan hood above. The worktop continues along the opposite wall incorporating a sink/drainer unit with storage cupboards under and a washing machine 60cm wide. There is a kitchen window set back 100cm behind the sink unit. To the right far end is a work-top housing built in dishwasher 60cm wide and 50cm wide drawer unit, with microwave oven above. To the right centre is a kitchen table 120cm by 90cm with four chairs. On the entrance side of the kitchen table is a handrail protecting the two steps down to the lounge. To the right of the entrance are two steps down to the lounge each 10cm. On the adjacent wall to the door is a wall cupboard housing the electricity meter. To the right of the bottom step is a cupboard door 74cm wide by 196cm high with three shelves 25cm deep behind for the storage of provisions. There are four ceiling spotlights, switches located 130cm above the floor level adjacent to entrance and exit doors. There is a heat alarm at ceiling height. The lounge is 4.60M by 7.60M. There is a three seat sofa and a two seat sofa in the centre of the room with coffee table and a two seat sofa bed against the far wall. To the left of the entrance door is a display cabinet with table lamp and television with free-view and dvd player.. On the left hand wall there are two wall lamps a standard lamp and corner display cabinet. At the far end of the left hand wall is an exit door to the rear porch with garden access. 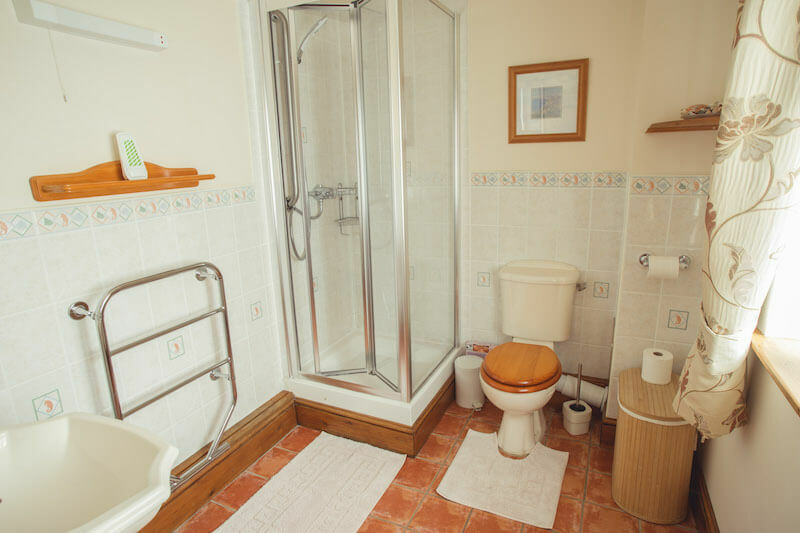 To the right of the entrance door there is a radiator with a centrally positioned dresser including cd player with wall lamp and mirror above. 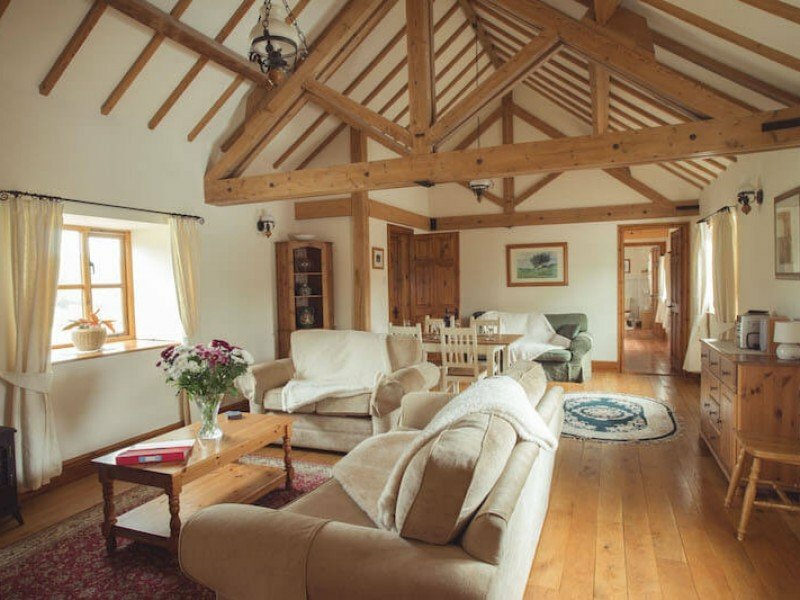 There is one window in the left hand wall of the lounge and two windows in the right hand wall The floor is polished oak floorboards with a large rug centrally placed. 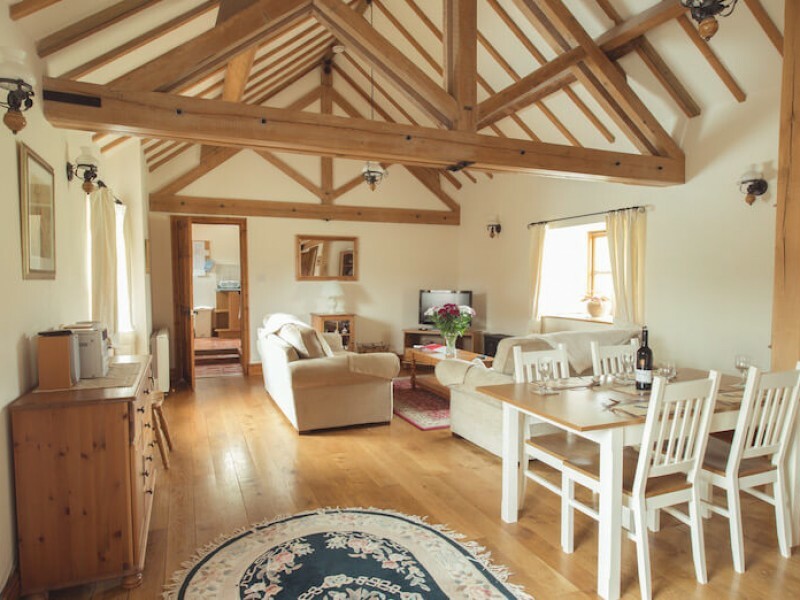 The room has a high pitched ceiling with exposed beams and two suspended lamps. The exit door to the bedrooms is far end right. The maximum open area is 4.0M by 2.0M. There are two additional dining chairs and a pine storage chest. The porch is 1.70M by 1.10M. There is an exit door to the garden with a 15cm step down to the path. The porch contains a storage cupboard with vacuum cleaner, ironing board etc. 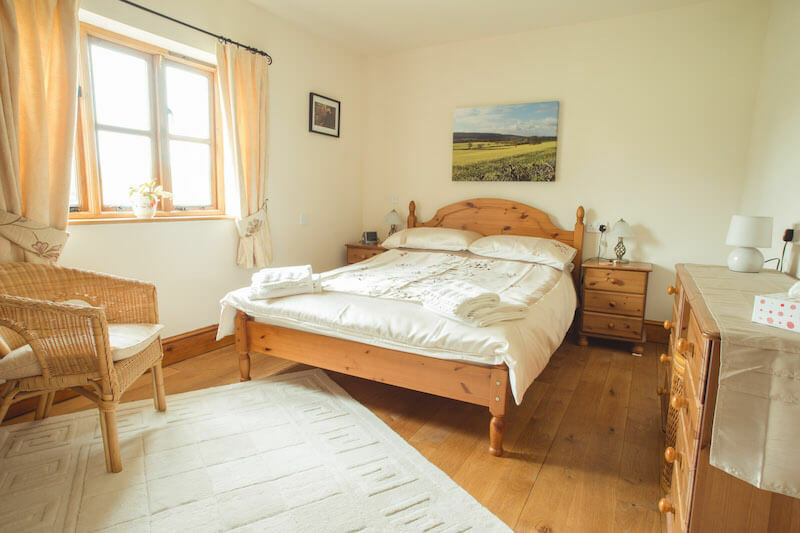 The bedroom is 2.90M by 4.10M There is a 54inch double bed located against the right hand wall with a bedside table each side, maximum access is 55cm to the left of the bed and 100cm to the right. There are two table lamps and a clock radio on the bedside tables. On the facing wall is a window and double wardrobe 90cm by 50cm by 180cm high to the left. On the left hand wall is a radiator On the right hand adjacent wall is a dressing table 130cm by 35cm by 75cm high with a stool and table lamp, a hair dryer is provided with sockets above the dressing table. Maximum clear space on entering the room is 180cm by 200 cm. The floor is polished oak floorboards with a rug. There are 3 inset ceiling lights. The second bedroom is 3.0M by 3.60M. 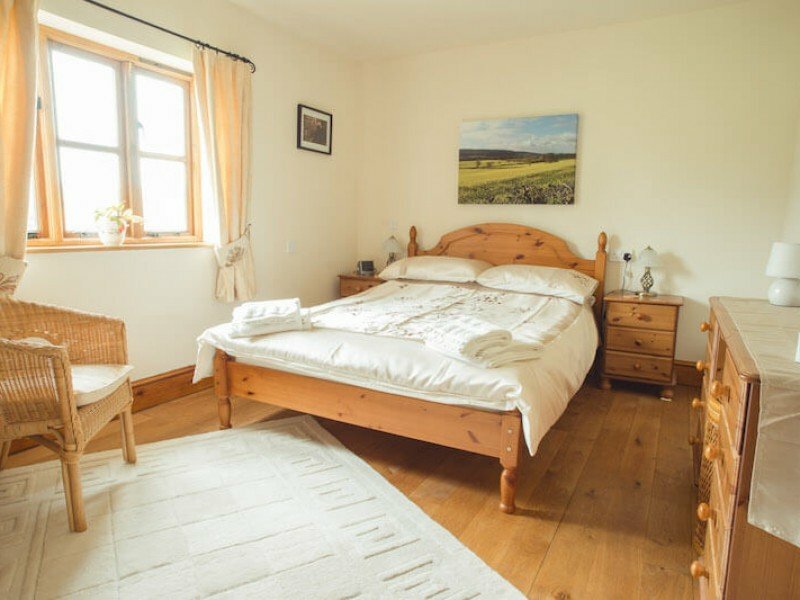 To the left adjacent wall is a dressing table 75cm high with stool, a single bedroom chair and a double wardrobe 90cm by 50cm by 180cm high. On the left hand wall is a single bed with fitted sheets, twin ant-allergenic pillows and a duvet. 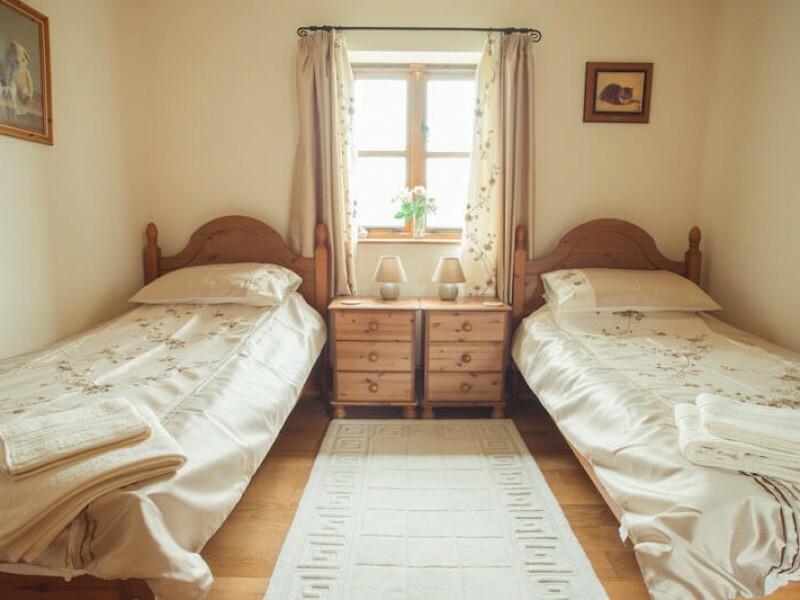 On the right hand wall is a single bed with fitted sheets, twin ant-allergenic pillows and a duvet. At the foot of the bed is a wall mounted radiator. On the facing wall are two bedside cabinets 60cm high with twin bedside lamps and a window to the garden behind. There are three inset ceiling spotlights. The maximum clear space between beds is 100cm by 150cm. The floor is polished oak floorboards with a rug. The bathroom is 1.90M by 2.90M. 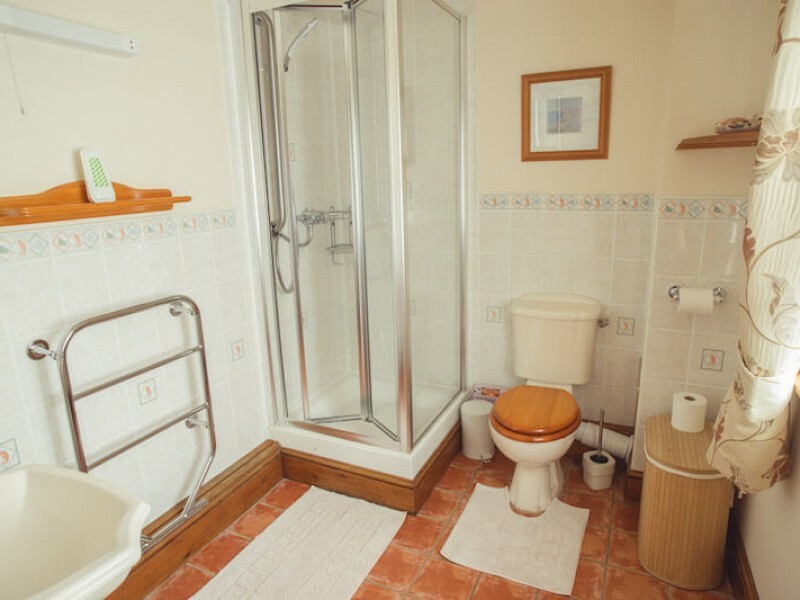 On the left adjacent wall is a washbasin 80cmhigh with mirror above To the left is a heated towel rail with shelf, mirror and wall lamp above, and a shower cubicle with grab rail and folding twin door 80cm by 80cm, the step up is 15cm. On the opposite wall is toilet suite and adjacent laundry basket. The maximum clear space is 110cm by 150cm. The floor is ceramic tiled with non slip floor mats. There is a window to the courtyard with nets and lined curtains. There are two inset ceiling lamps. The door opening is restricted to 67cm. Front windows view over courtyard. 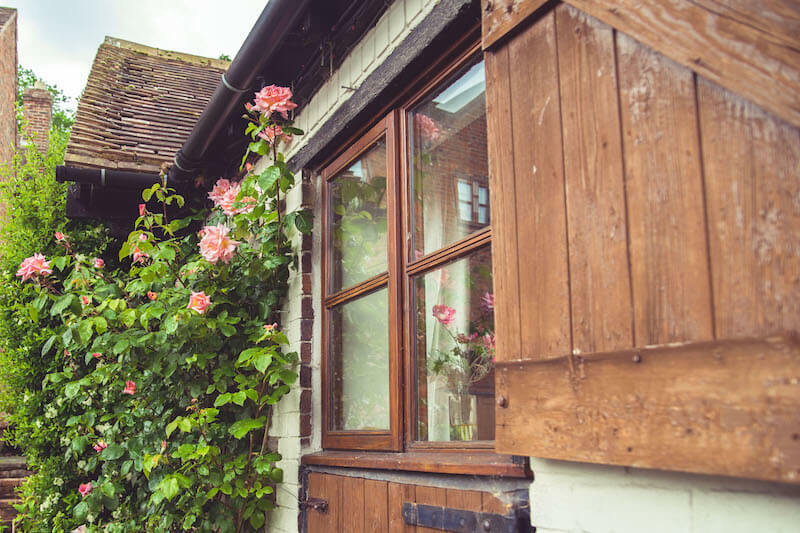 Rear and side windows have country views.